David Bergen's novel, which won the Giller Prize in 2005, is about a brother and sister searching for their missing father in Vietnam. Charles Boatman returns to Vietnam, where he served as a soldier almost 30 years earlier, on a mysterious quest. When he disappears, his daughter Ada and her brother Jon travel to Vietnam to find him. An ambitious novel that explores the traumatic aftermath of warfare, The Time in Between shifts between Ada and Jon's search for their missing father and his experiences during the war. The Time in Between won the 2005 Scotiabank Giller Prize and the 2005 McNally Robinson Book of the Year Award. The typhoon arrived that night. Ada woke to the sound of rain driving against the windows. Above them, on the rooftop, chairs fell and banged against the washstand. The corrugated tin on the stairwell roof worked loose and flapped for an hour before it broke free and fell like a whirling blade down onto the street. Ada was standing at the window watching the palm trees bend in the wind and she saw the tin roofing fly by and land on the tennis courts in the distance. The power went out and then flickered on and finally cut out completely. Ada woke Jon, her brother, who had returned while she was sleeping, and she held his hand and said, "I'm frightened." He sat up and said, "It's a small storm. ­ Don't worry." 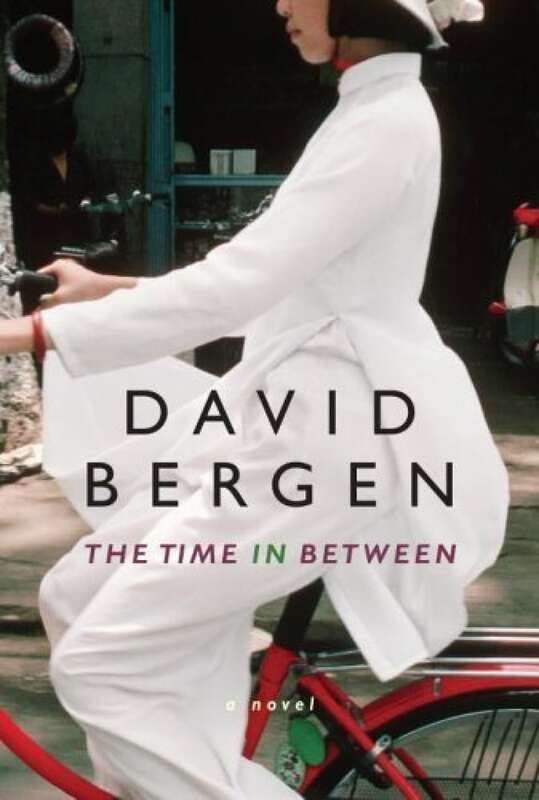 From The Time in Between by David Bergen ©2006. Published by Emblem Editions.